Wasps have confirmed that Georgian international Zurab Zhvania will join the English Premiership club ahead of the 2018/19 Gallagher Premiership season. His professional rugby debut came against Georgian regional side Aia Kutaisi and switched to Stade Francais in 2010 making over 100 appearances for the French outfit. 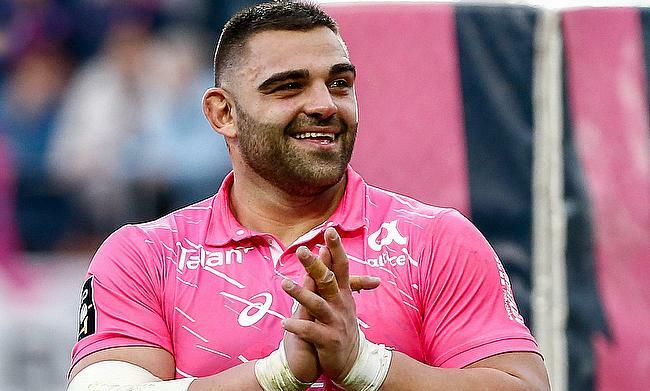 He was also part of the Stade Francais squad that lifted the Top 14 title in 2015 and a European Rugby Challenge Cup triumph in 2016/17 season. The 26-year-old is looking forward to use his experience from Stade Francais as he heads to the Ricoh Arena. "I'm hugely excited to be joining Wasps and playing in the English Premiership over the next few seasons. “I have big ambitions in the game and I believe I can achieve these with Wasps both at Premiership and European level. “They play a very attractive style of rugby which I believe suits my game and will bring out the best in me. “It's great to have former International prop as director of rugby and this can only be of benefit to my development. “My family and I are very much looking forward to moving to the UK and I can't wait to get started." Zhvania debut for Georgia came in 2013 against Spain and has overall featured in 34 Tests since then including the recently concluded June international contest against Japan. Wasps' director of rugby Dai Young believes Zhvania's arrival will benefit the club and is looking forward to work with the 5ft 10' prop. “We have been tracking Zura for a couple of seasons and are really pleased to finally get him on board. “He is an experienced player despite still being in his mid-20’s, who I expect to bring plenty to our front row. “The timing of this is also good, since both Matt Mullan and Simon McIntyre are currently recuperating from long-term injuries.